From Jaipur: Jaipur is 160 kilometers from Sawai Madhopur by road and it takes about three hours to get here via Kothun and Lalsot. The road till Kothun is good but has a fair amount of traffic. From the Kothun there is a left turn to Lalsot. This road is not all that great but there is no traffic. From Lasot there is a right turn to Sawai Madhopur and this road is great. Mumbai: There are excellent train connections from Mumbai to Sawai Madhopur. The trains that we recommend are Golden Temple mail (departure at 2125 from Mumbai Central and arrival at 1245 hours), Jaipur Superfast (departure from Bandra at 1545 and arrival at 0820), BCT Jaipur Express (departure from Mumbai Central at 1850 and arrival at 1005 hours) and August Kranti Rajdhani express (departure Mumbai Central at 1740 and arrival 0635 hours). You could also take a flight from Mumbai to Jaipur and then drive down to Sawai Madhopur. 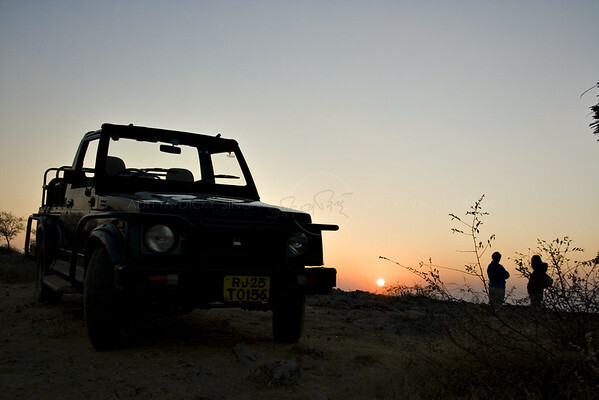 Udaipur: Udaipur is about 410 kilometers (7 hours drive) from Sawai Madhopur. The best route is from Udaipur to Chittor to Kota to Lakheri to Sawai Madhopur. The road is great and very scenic. There are good train connections between Udaipur and Sawai Madhopur. The trains that we recommend from Udaipur are Mewar Express (departure at 1845 and arrival at 0100 hours) and Udaipur Jaipur Superfast (departure at 2140 and arrival at 0450 hours). Jodhpur: Jodhpur is 450 kilometers from Sawai Madhopur (about 8 hours drive) and the route is from Jodhpur to Beawar to Deoli to Tonk to Sawai Madhopur - a long 8 hours drive. The road from Shahpura to Ranthambhore is usually in a bad shape. There is one good train from Jodhpur to Sawai Madhopur - the Ranthambhore Express or Jodhpur Intercity Express (departure at 0545 and arrival at 1325 hours). Agra is slightly less than 300 km (5 to 6 hours) from Ranthambhore and the route is from Agra to Bharatpur to Dausa to Sawai Madhopur via Lalsot. Its a great road except for some bad patches between Dausa and Lalsot. For more details about trains check the official Indian railways website or call your local railway enquiry (telephone number 131). We can book the trains and courier the tickets to you for a small service charge. "We had a great time. Very nice people here! Shot a lot of wildlife. A dream come true!"